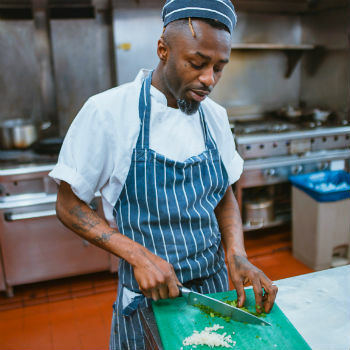 The best chefs are always learning, so what better way to keep developing your skills by working at a variety of venues? Whether you’re a Chef de Partie at the start of your career or an experienced Head Chef, working at an array of different restaurants exposes you to a rich tapestry of styles, methods and personalities, all of which will help you become a better chef. Temping doesn’t just have to be for those people in between jobs. it can be great for people who are working full time too. If you find yourself with a few hours to spare each week and would like to earn yourself some extra pounds, temping is the solution. As well as boosting your bank balance, it gives you a chance to diversify your skills and meet some fantastic new people too. Moving to a new job can often be a positive thing. Sometimes however, people leave a job and end up working somewhere they hate, regretting leaving their original role. This is often the result of a lack of variety. They enjoy their original job but feel like stretching their wings elsewhere. Staying in your job and doing a few shifts at a variety of different establishments on a temporary basis can often give you the best of both worlds. The safety and security of your own job combined with the excitement and variety of working in a range of kitchens with different colleagues can reinvigorate your career. There can be a number of reasons why you’re not getting the permanent chef roles you really want. Maybe you’ve been out of the industry for a while and are finding it difficult to compete with candidates that have recent, relevant experience. Maybe you’ve got the skills that they’re looking for but because you’ve never worked at that level much, you’re finding it difficult to find someone to give you a chance in a permanent role. Whatever the reason, temping can be a great way to get a foot in the door. If you show enough flexibility, you can often find yourself working in some of the most sought after of London’s kitchens, and that means you’ve got your chance to prove yourself. Talented and hardworking chefs are hard to find. That means if you can impress doing a few shifts in a restaurant, it speaks volumes more than a CV and can sometimes lead you to landing a fantastic job.